THIS 2012 MERCEDES-BENZ ML-350 BLUETEC AWD IS IN EXCELLENT CONDITION HAS 108K MILES FRONT HEATED LEATHER SEATS SUNROOF NAVIGATION AND MUCH MORE RUNS SMOOTH WELL MAINTAINED VEHICLE FOR DETAILS CALL WITH ANY QUESTIONS 216-712-6224 OR VISIT OUR WEBSITE WWW.NEXTSTEPCARS.COM EXTENDED WARRANTY AVAILABLE WE ARE LOCATED AT 7007 BROOKPARK RD CLEVELAND OH 44129 All power equipment on this vehicle is in working order. There are no known defects in this vehicle. There are no problems with the engine. I would describe the exterior condition as clean. The condition of the interior is clean. The mileage is accurate. The transmission shifts smoothly. The vehicle has a clear title Visit Next Step Auto Sales online at nextstepcars.com to see more pictures of this vehicle or call us at 216-712-6224 today to schedule your test drive. WE FINANCE Good Credit Bad credit No Credit Please complete credit app online to get instant response. 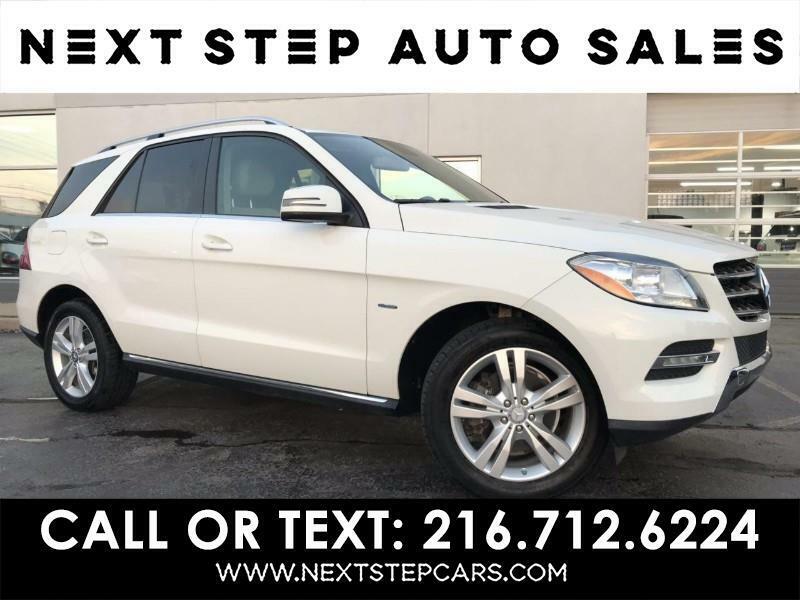 Visit Next Step Auto Sales online at nextstepcars.com to see more pictures of this vehicle or call us at 216-712-6224 today to schedule your test drive.